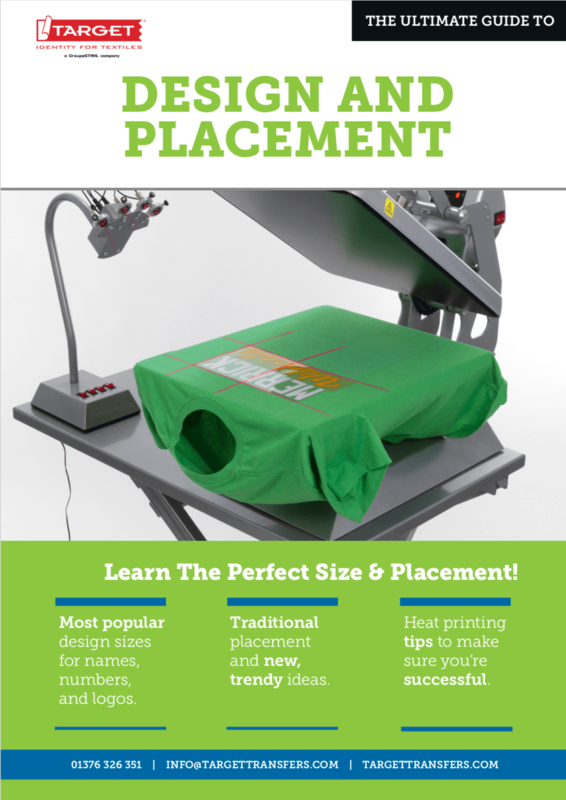 Learn the perfect size and placement for all your designs. he more places on a garment you can decorate with heat transfer material, the more premium items you can create for your customers. But how do you know how big your designs should be and where to place them on each item? This 23-page guide is a comprehensive collection of design size and placement resources for all kinds of garments and accessories. From sports uniforms to promotional items and everything in between. The most popular design sizes for names, numbers, and logos. Traditional placements and new, trendy ideas. Heat printing tips and tricks to make sure you’re successful.